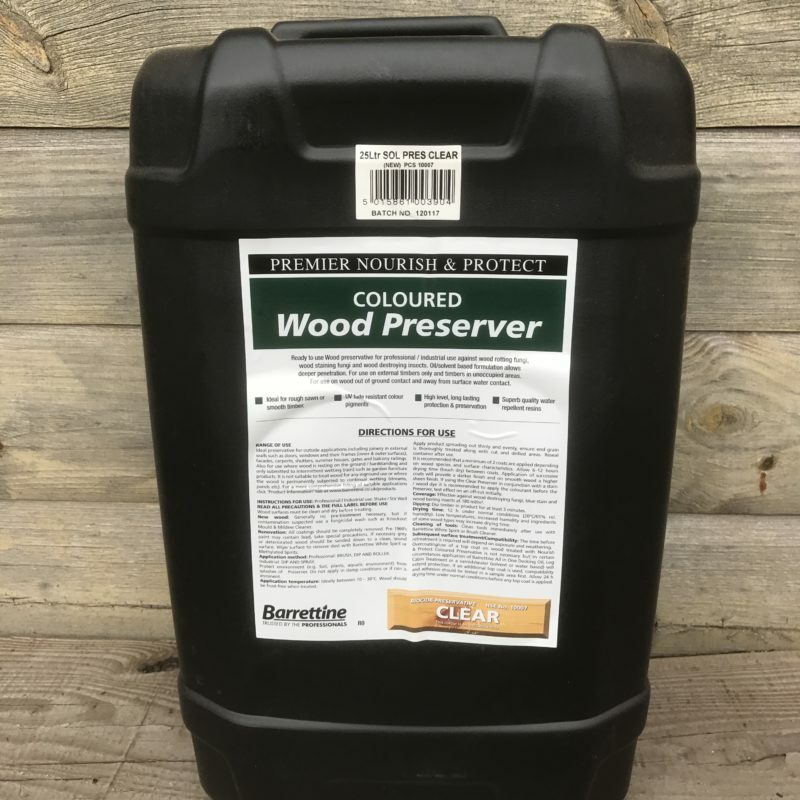 A high-quality low odour solvent based, deep penetrating preserver which is used for the protection against wood destroying fungi (wet rot), wood discolouring fungi and wood boring insects. Provides a semi-transparent matt/satin finish allowing the natural wood texture to be visible. on windows/frames, external doors/frames (internal & external sections). The clear product can also be used on structural timbers in unoccupied areas such as floor joists. Contains Permethrin, Tebuconazole & IPBC. Protects uncontaminated timber against wet rot, decay and wood boring insect attack. Mainly for external applications but some Internal. (refer to internal and external information on the back of the tin/container). Suitable for rough, sawn or smooth timber, does not require over sealing. Oil/solvent based for deeper penetration. Low odour ready to use formulation.